The last thing we oftentimes think about whenever we end up using paper is how we store it. Unfortunately, many paper jams are caused by this one trick that people seem to neglect often. Let’s take a look at how to properly store paper and utilize it properly. Humidity plays a massive part in your copy machine ends up printing. Paper can end up absorbing moisture and will expand larger than its normal size due to humidity. This is why it is important to store your printer paper in a generally cool and dry environment before you load them into your copier. Exposure to too much humidity can cause them to warp and may lead to paper jams in your copy machine. Unfortunately, there are problems that can be caused by low humidity as well. The quality of the paper can become warped and warp if it is placed in the warm process of a copy machine. The edges can end up becoming tighter and result in misregistering in your copy machine. You can also expect your paper to wrinkle and potentially produce static electricity that can build up and affect your copy machine. You want to store your office paper in a climate controlled facility to prevent these two conditions from occurring. You will need to experiment with the right temperature depending on your climate. Fortunately, finding the right temperature can save you a headache in the future. The quality of the paper that you purchase is an incredibly important aspect that people should consider. A poor quality paper will end up becoming warped in the conditions that we have mentioned before. Higher quality paper is not as affected by humidity and other weather-like conditions. Unfortunately, using cheap paper could end up causing you to seek copier repairs in Las Vegas. Utilize this guide to help you find the right kind of paper that you should use for your machine. People are constantly using their copy machine at work. Dozens of documents are printed and copied each day to ensure the smooth flow of production in the office. Like any machine, your copy machine can eventually break down from overuse. This can lead you to utilize local managed print services in Las Vegas whenever this happens. 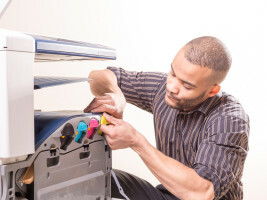 However, there are techniques that you can follow to help improve the lifespan of your copy machine. Many people forget to perform this relatively easy technique during their busy day at work. However, regularly cleaning your copy machine can help prevent it from breaking down in the future. Take some time out of your day to look for debris, dust, and other unwanted materials that can be found inside of your copy machine. These small pieces can jam and cause it to malfunction in the future. 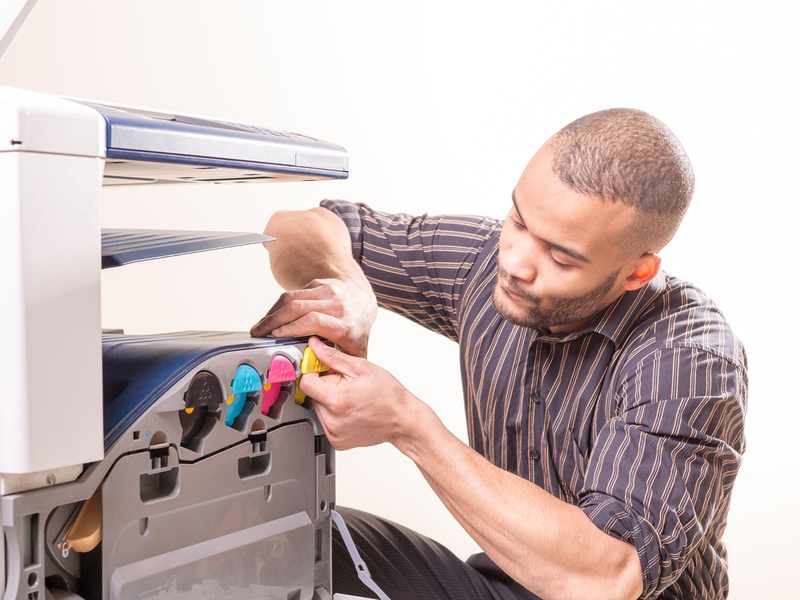 A little bit of maintenance can go a long way with your copy machine. People normally wait until the ink cartridge is completely empty before they decide to change it. Unfortunately, this can cause some serious wear to your printer head. Make sure that you keep regular track of the amount of ink that is in the cartridge and replace it before it gets low. You should aim to replace the cartridge whenever it is at 20% capacity. This will prevent additional damage to your machine in the long run. While repairs have to happen eventually for all machines, you want to ensure that your copier lasts as long as possible. You don’t want to risk disruptions in your workday due to the fact that the copy machine becomes damaged. Fortunately, the tips that we have provided will help you accomplish this and keep it running longer. 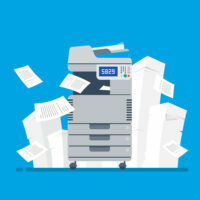 Be sure to follow these simple tips regularly to improve your copy machine’s life cycle. Oftentimes, when you make photocopies, you’ll notice things like your prints being off-center, text being too small, stray ink, or blurriness. 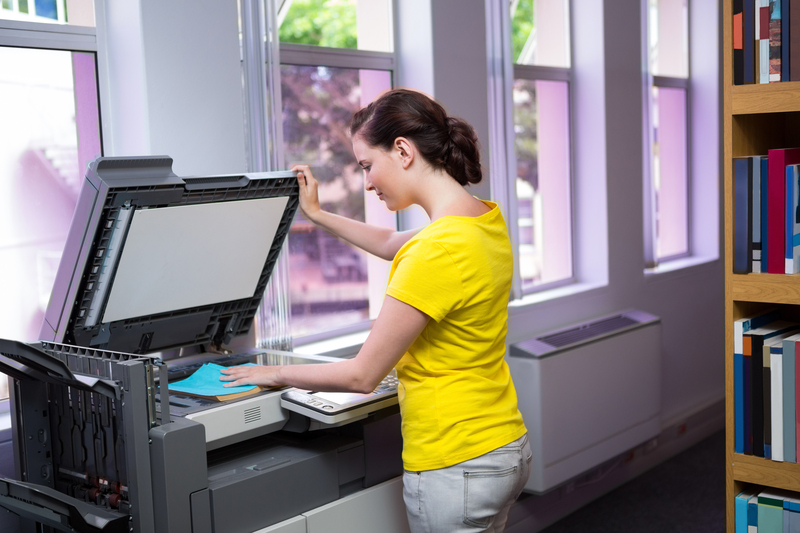 With these tips, you can make your photocopies crisp, clear, and better than ever. The first step to great photocopies is great originals. Make sure that your original documents are clear and clean. Be sure to remove things like staples or paperclips. Try and smooth out your documents as best as possible, and make sure to check that the corners of your paper are lined up with the corners of the copier’s glass. When you’re making copies, keep in mind that your machine has different settings for different document types and sizes. Make sure to select the correct paper size. Adjust your contrast to make your text more readable. Many machines also have setting for zooming, so you can ensure that your text and images fit on your paper. Cleaning your machine regularly is important to ensure you don’t end up with any stray marks on your copies. Consider investing in a copier vacuum to take care of stray ink or toner. Use compressed air to clean out dust and particles, and be sure to wipe down the glass screen with glass cleaner. In order to keep your copy machine working properly, make sure to schedule regular maintenance. When your machine gives you problems, contact a professional for copy machine repair in Las Vegas. The copier repairs in Las Vegas that small businesses have available to them aren’t always the answer. Leasing or purchasing a new machine can be more cost-effective than repair over the long-term. If your business is in this situation, what should you do with the old copier? 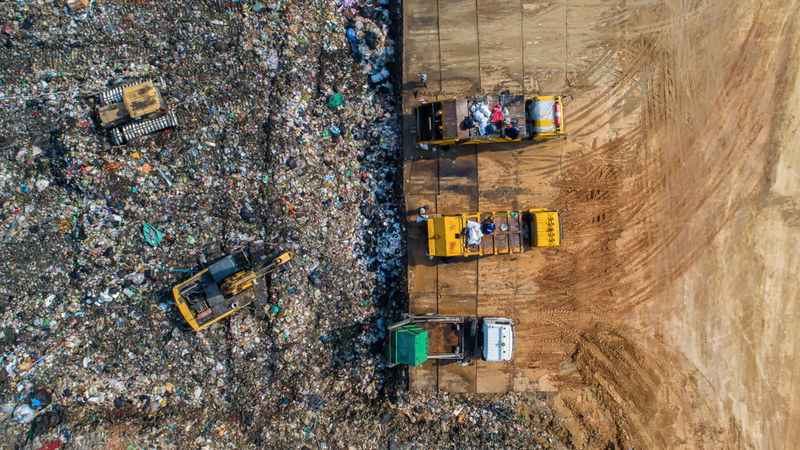 Traditional disposal is one option, but it may not be the best method. Donation is a fantastic option. 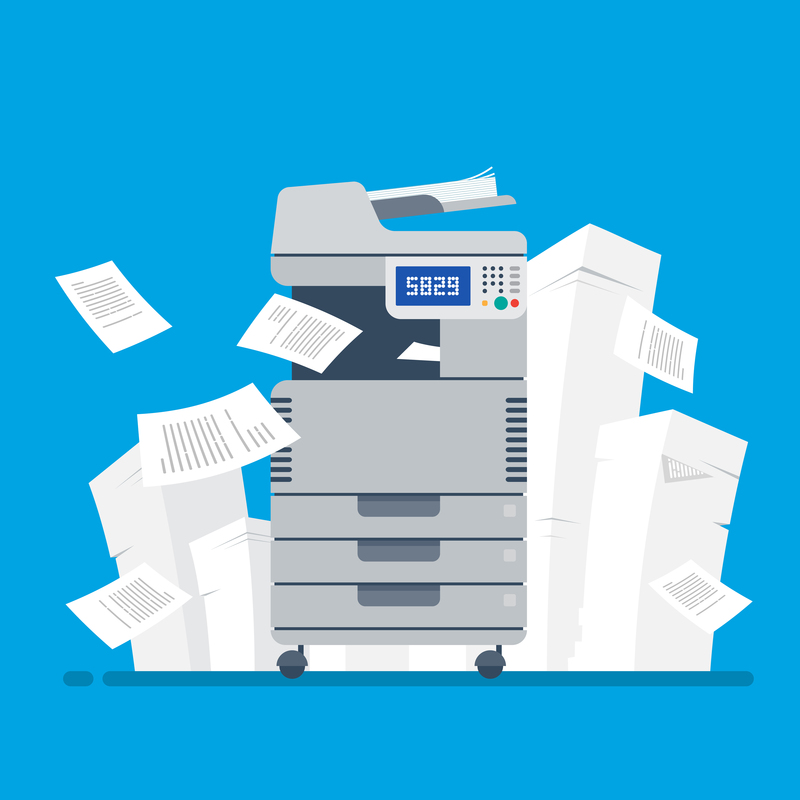 Even if the copier you’re getting rid of requires repair, the cost of that repair may make sense for another organization. There are charities, for instance, that use old copiers and other business machines for their smaller satellite locations. There are websites that list schools, charities and other non-profit organizations that accept such gifts. If gifting the copier is not an option, then returning it to the manufacturer may be. Many manufacturers offer take-back programs. This a matter of corporate responsibility in many cases. It’s also a simple matter of public relations. 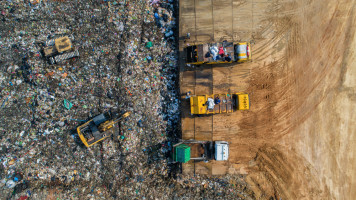 The big companies do not want their names and their brand names to be associated with waste that is bad for the environment. Many of these companies facilitate these programs through local office supply outlets and similar locations. Many of the major office supply chains will take copiers and similar equipment from you at no charge. They already have these systems in place and offer it as a service to the community. Even if your local office supply chain doesn’t facilitate it directly, it may be aware of other local options. You can also contact your local sanitation department. Some local governments offer this service for free or for a nominal charge. If not, it may be able to point you in the right direction. If all other options are exhausted, locate a licensed waster recycler in your area that specializes in electronics. These companies will pick up and recycle your copier for a fee. When you have multiple printers in your office suite, organization or educational institution, managing all of them could take a lot of your time. Keeping track of their toner needs, cleaning schedule and maintenance could be an overwhelming task. 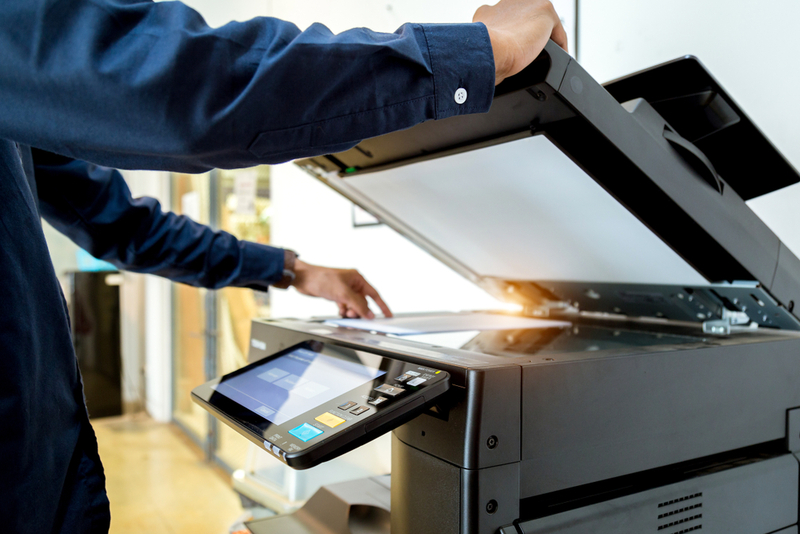 With professional printer services in Las Vegas, you can rest assured knowing that the printing systems in your business are cared for properly. Proper care and maintenance of the printers results in less wasted paper and toner. When the printing system is operating with clean rollers and print heads, it will use less toner. The print quality will be better, which means that you will not have to print something two or three times in order to get a quality copy. The machine will also be less likely to jam, and paper jams are a common cause of wasted printer paper. Professional printing services also ensure that the printers can print at a fast speed. Clean print heads and rollers move more swiftly. A properly lubricated paper tray can deliver the paper to the rollers when it is needed. The collating trays will also move better when they are properly cared for. When printing large documents, you could save several minutes of time. Regular maintenance of printers means fewer paper jams. If you have ever struggled with a jammed printer, you know that this is enough of a reason to have professionals handle your printer services. Trying to find the location of a paper jam can take a while. When you do find it, you must figure out how to remove the stuck paper without leaving any shreds of it behind in the machine. You must do this carefully in order to avoid causing any damage or leaving a shred of paper in it.